A Guide to be a Rosalian – Page 3 – Anything you need to know if you want to act, speak, or believe in Rosalian. It’s amazing how a word travels through the roads and seas. Told you before (in Facebook) I watched documentary of Egypt’s Tahrir Square (الميدان – al-Midan) and found on reddit that it’s screened amidst Ukraine’s Maidan movement. And like, wait. why are the words similar? After some word-stalking, I found that they indeed means the same: open square/field (“lapangan” in Indonesian). It was because of the Turco-Persian transmission in 9-10 AD (the Ukrainian word got its origin from Persian ميدان – meydan). And guess what? That word also found its way to Indonesia: “medan”, which means a field. It’s still used in the same sense I guess (remember Medan Merdeka aka lapangan Monas? It’s in the center of Jakarta where Indonesian presidential palace is located – Medan Merdeka Utara). Kapan lagi Rosa ngereview lipstik. Dunia ini kayaknya udah kebalik-balik. Anyhow. 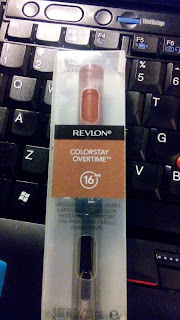 I bought this piece after I watched this video, which successfully tempts me buy this Revlon Colorstay Overtime 16h. I already have L’Oreal Infallible lip 24h 507 Relentless Rouge (in Kruidvat, a nearby drugstore) and Maybelline Superstay 24h 585 Burgundy (in bol.com) and the vid review corresponds correctly to my experience using those, so I thought I’d give this Revlon a chance. And btw I’m a big fan of BuzzFeed (the video is from them) – if you don’t feel like watching video, here’s the article. So, within minutes after watching the vid, I bought the Revlon Colorstay Overtime. 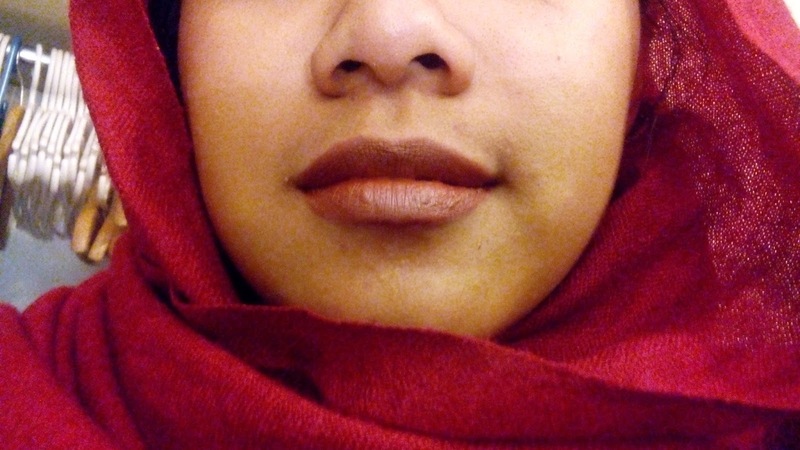 It took me minutes to choose the color, Eternally Tan, because I have no brown-ish longwear lipstick (the only one I have & I love the color is from Hema and it is like everywhere in my cups etc). Oh well, really, that’s a quick one, because usually I spent hours roaming in drugstore comparing colours, and after buying that I think there might be a better color 😛 but whatever. I found out that they don’t sell the lipstick in Netherlands, so I had to buy it from USA. I went to eBay.com and choose one; I think it costs about $14 and I paid with PayPal (Btw, eBay and PayPal now separate their way apart so eBay will ask you whether you’d like to pay with PayPal or not. Usually it’s automatic). Btw, I’m too used to my L’Oreal infallible which make my lips feel dry, and I kinda don’t like this because it makes my lips feel sticky. 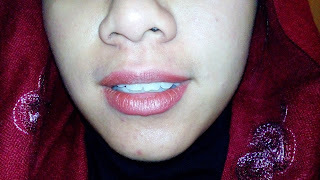 I mean, it’s a good thing that my lips are hydrated (especially in this winter weather), but I need time to get used to. I didn’t notice whether it leaves trail on my food, but that 8:30pm look survives some Indonesian food: siomay, greasy-and-oily fried chicken, and sweet martabak. And for you who wonder what’s the actual color of Eternally Tan, I reapply the lipstick this evening. More brown, rightttt. 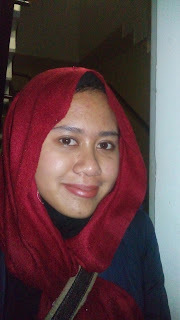 And need a redder lipstick since I wear red scarf & skirt, but don’t want to make it super-red. 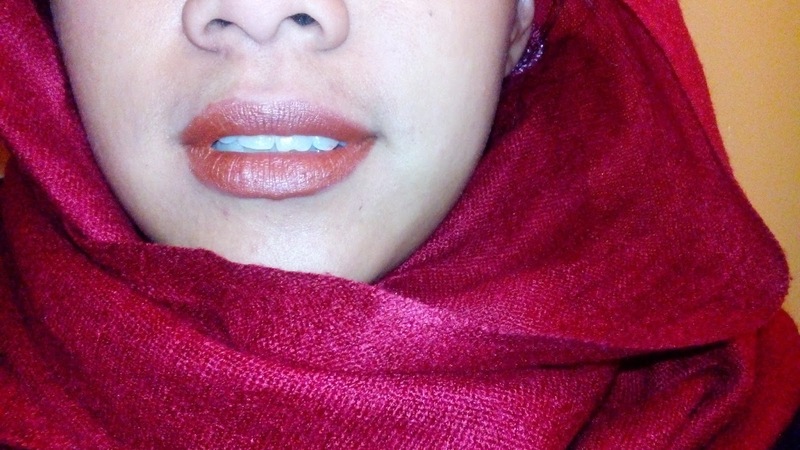 Anyway (again), I haven’t tested this lipstick if it’s date-night-proof (euphemism for boyfriend-proof?) (nah, boyfriend-proof is still euphemism). But, definitely, the Maybelline Superstay isn’t boyfriend-proof, trust me. Lol. I kinda don’t like that, it’s overpriced for something that won’t last for long and super hard to apply (actually that’s because I have the highly-pigmented dark color, which needs a more careful application compared to the more natural color).